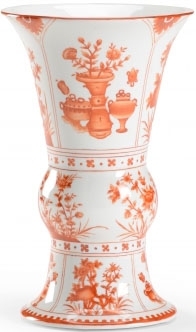 An outstanding piece of fine craftsmanship, this beautiful jar is all made up of good matter porcelain. 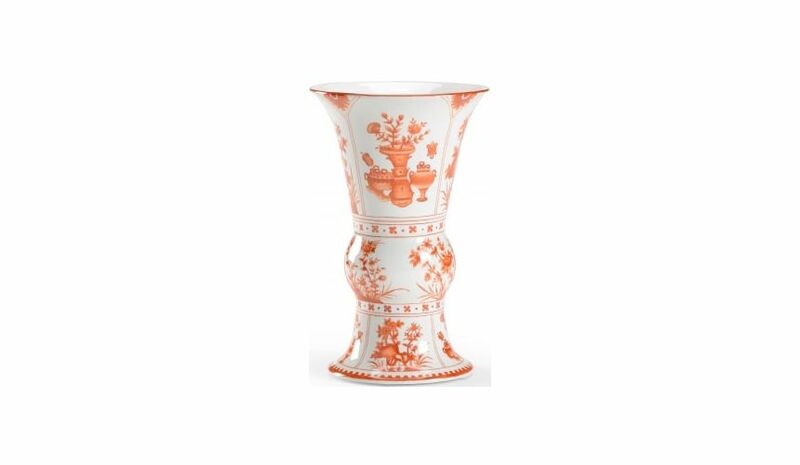 The hand decorated illustrations are colored in bright orange that add a sprint of freshness to this pot. 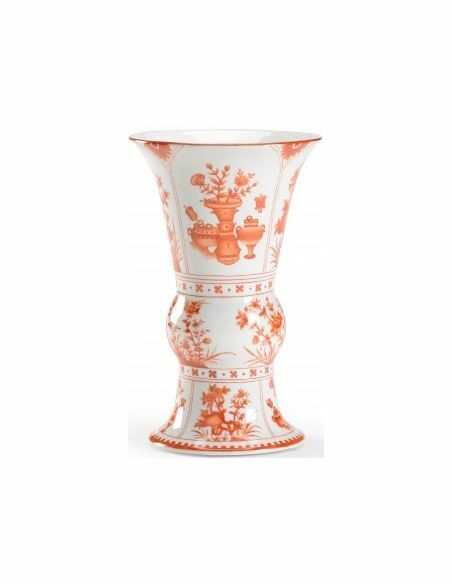 Slightly bulging effect gives a funky edge to this elegant amphora.